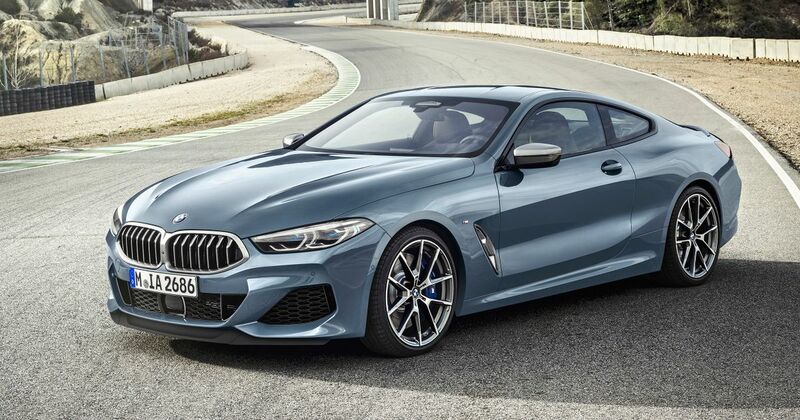 BMW’s brand new 8 Series is here at last, and it’s still hiding a big ol’ V8. The four-wheel drive sports GT will be launched in November, but we’ve got all the details right here, right now. 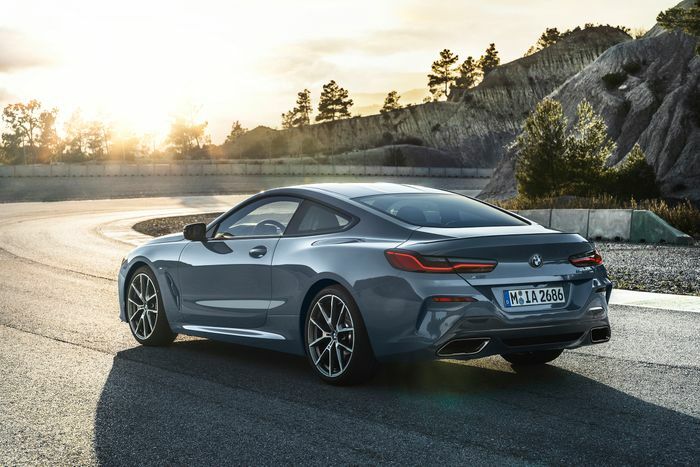 The luxury coupe will be built at the same Dingolfing plant as the 7 Series, which isn’t a surprise since the two share a platform. 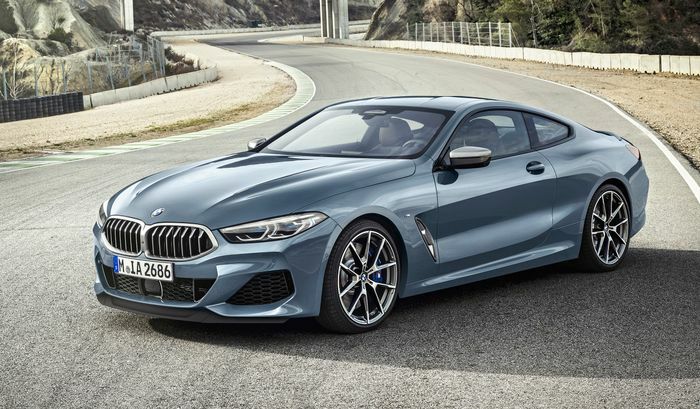 Two versions will be built to begin with: a 3.0-litre 840d diesel with 316bhp and 502lb ft, and a juicy 4.4-litre M850i with 523bhp and 553lb ft. Much waft. The diesel, not exactly what you’d call an entry-level model, will crack 0-62mph in 4.9 seconds and return 46.3mpg, presumably on the latest WLTP test cycle that should be more realistic. The petrol monster will demolish the same sprint in just 3.7 seconds. Both, naturally, will crunch into their 155mph speed limiters. Although we’ve seen plenty of teasers and leaked photos, it’s still rewarding to see the production version resemble last year’s concept so closely. The double-bubble contours on the roof are distinctive and daring. There’s a real class about the design. It’s just over 4.8 metres long and 1.9 metres wide, but arguably looks larger on both counts. It has a focus about it. Narrow headlight clusters and a more angular kidney grille that’s – fortunately – smaller than the concept’s and wide rather than simply massive like the X7’s, contribute to a shell that should age beautifully. The seats are clever multi-function sports items designed to cope with fast cornering. The front pair are separated by a tall, wide centre console that leads up to the main instrument panel, while the rears are probably reserved for occasional use. Out back is a useful 420-litre boot, most likely carefully sized to get at least a few bags of golf clubs inside it. Unlike in a lot of coupes, the rear seat backs can be lowered for even more luggage space. 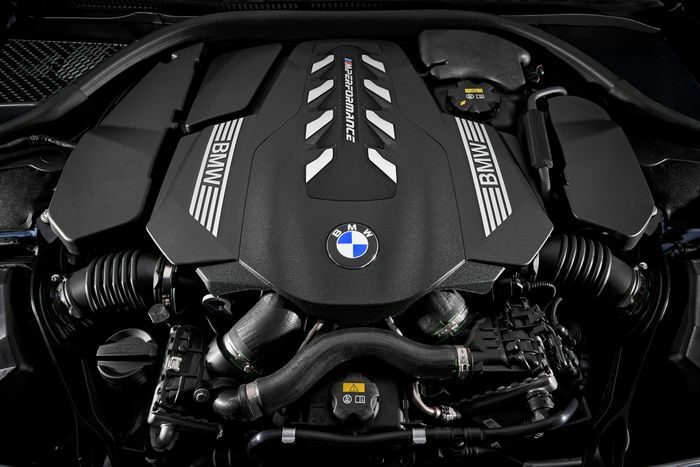 Prices for the diesel start at £76,270, and for the M850i it’s £100,045. Begin saving.